The magic—it’s real!Remember when you were a child and you believed that life was magical? Well, the magic of life is real, and it’s far more exciting and awe-inspiring than you ever imagined as a child. You can live your dreams, you can have anything you want, and your life can touch the stars! 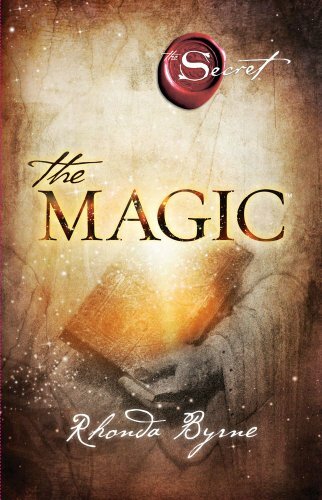 In The Magic a great mystery from a sacred text is revealed, and with this life-changing knowledge Rhonda Byrne will take you on an unforgettable journey for 28 days. Step by step, day by day, secret teachings, revelations, and scientific law are brought together into one breathtaking book—a book that will lead you to a life and a level of happiness beyond your wildest dreams. Rhonda Byrne was born on March 12, 1951. Her best known work is The Secret, a self-help book and movie. Her other works include The Power and The Magic. She was also a producer for Sensing Murder and worked on the Australian television series World's Greatest Commercials and Marry Me. Her title Hero made The New York Times Best Seller List in 2013.